Star Bamboo is proud to announce that we have won the Silver medal at the upcoming EPIF Eco Awards 2006 for our eco-friendly solid bamboo flooring. 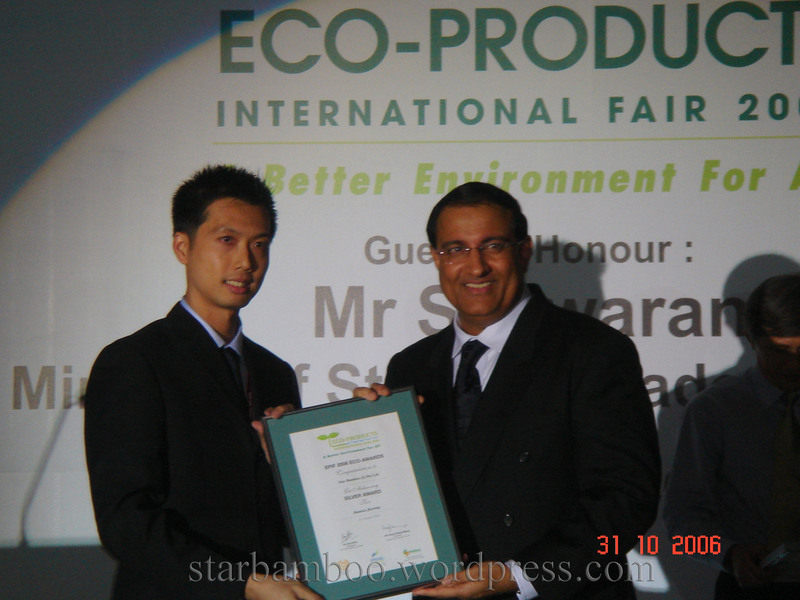 The EPIF 2006 Eco-Awards are being introduced for the first time in conjunction with Eco-products International Fair 2006. The award is awarded for innovative products or services that contribute towards environmental sustainability while being economically viable. So a BIG thanks goes out to all who have supported us this past year. We will do even better next year! Star Bamboo is also one of the highlights at the exciting Eco-City display. The Eco-City is a life-sized model that gives you a taste of the healthy eco-friendly lifestyle that is possible with environment-friendly technologies and products. So come see the Award-winning bamboo flooring on display at the EPIF 2006! We are located at Booth 6L14. Admission is free, so you’ve got no reason not to go. See you there!